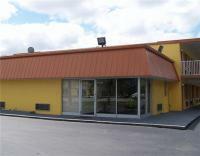 Located 5.6 miles from Melbourne International Airport, the Budget Inn West Melbourne features rooms with a refrigerator and free Wi-Fi. A daily continental breakfast is served in the morning. Ideally located only steps away from Fort Lauderdale, Florida's beautiful beaches and moments from the downtown area, this hotel offers guests comfortable accommodations, complete with many of the comforts of home. This all-suites Miami Beach hotel is one mile from Lummus Park Beach on the Atlantic Ocean. This hotel features a garden and full kitchen in every suite. The suites at Casa Milano have a separate living and dining area. Set on the beach in Key Largo, Florida, this property offers spacious suites with all the comforts of home, along with enjoyable facilities including an on-site marina. Bahama Beach Club offers apartments with patios and fully equipped kitchens. This Pompano Beach, Florida property features a private beach located 2 blocks from the apartments and an outdoor pool. Nestled beside the Atlantic Ocean, this Daytona Beach, Florida, Beachside Motel offers guests beach access and a beachfront, outdoor pool. All rooms have private balconies, fully-equipped kitchens, and dining areas.